This Is Me - actually it's not, it's Eve. Eve had the last party of the school year yesterday with a select few mates from school. Her birthday is actually in August but her very organised parents sorted out her party just before everyone shoots off to hot places over the Summer - not that we need to pop anywhere right now - this mad heatwave is relentless. 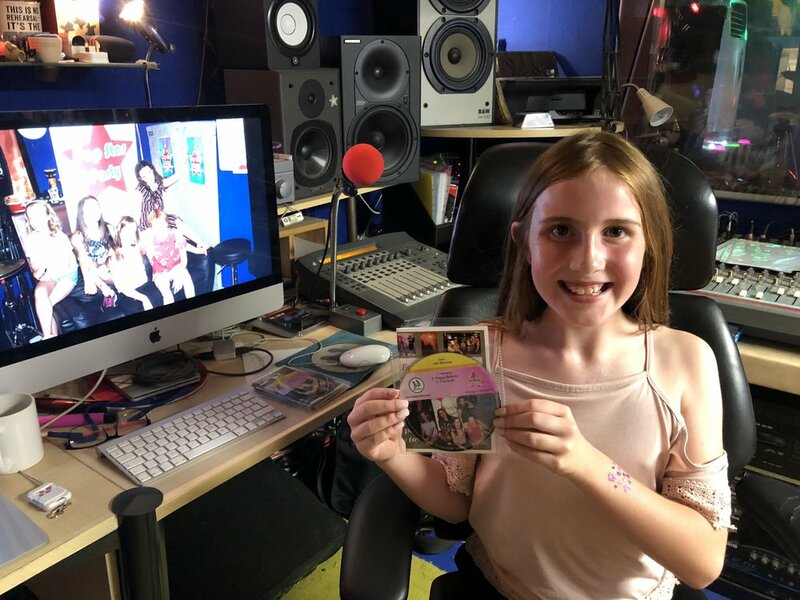 Singing Camilla Cabello's 'Havana' seemed entirely appropriate in the heat and fortunately the group all sang very well helping the song to be recorded quickly - even the rap didn't prove too tricky and Eve delivered it with conviction! Photoshoot and Booster Buffet next and they munched through everything ready for the filming session. The Greatest Showman really does have the best soundtrack - 'This Is Me' starts off quiet but quickly builds and stays full on to the end making a song for the party atmosphere and easy to make a video to. The girls did well, glow sticks, a formal routine for 'this is me' bits and some very cool shades. Video looks and sounds ace. Afterwards when I was trying to ask which out of her 10 birthday parties did she think was the best I got cut short before finishing the question and Eve just shouted 'This One' - my work is done! Top party to top a great school year. Oh - and yet another inspired cake - well done Mum! I can't even remember how long this heatwave has been going on, but it's a long time. 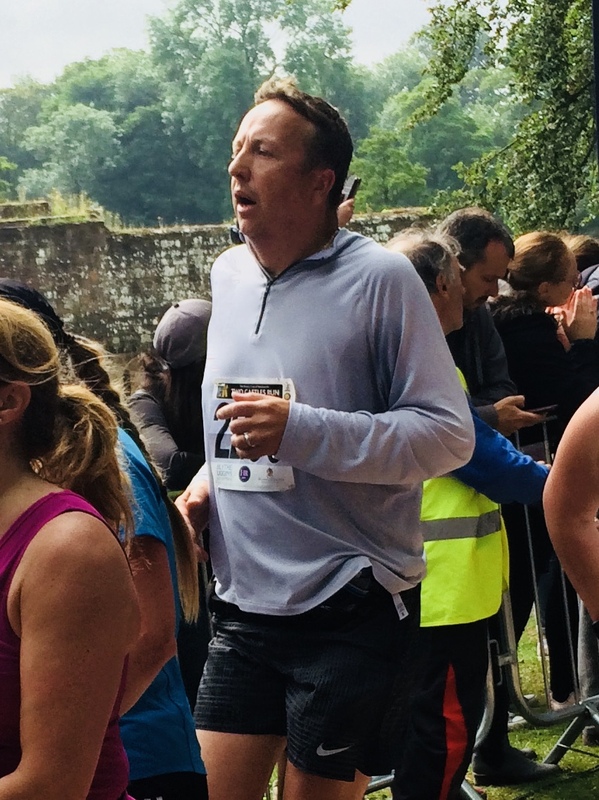 It first reared its' ugly head when I was due to run a big distance training run which I had decided I wanted to do at least 30k on and crack the 30k barrier. Previous to this I had managed 24k (twice) so felt I was ready. I was - but I was also a bit unprepared and didn't eat anything like enough the night before. I set off what I though was early enough but after 2 hours the sun came out and just roasted me - luckily I was close to the sports centre at Warwick University so was able to grab so fresh water, but it wasn't enough and the sun soon won the battle against my will to continue. So yes I experienced the wall at the end of June - it wasn't nice but I guess at least I know about it now. Tomorrow I am hoping to succeed and have planned out a 33k run, will be piling in the carbs for tea tonight and will be leaving at 5.30am to start the 3 hour run - this will be my longest run to date and I'm told not to push closer to the marathon distance if 42k before the race in October cos it can be detrimental - Im not sure yet - I might give it a go in a month! Pic below is from when I did the 2 Castles run in June. Tomorrow is gonna be like running that 3 times! Lucy brought a big party of friends to the barn recently and had just an amazing party. 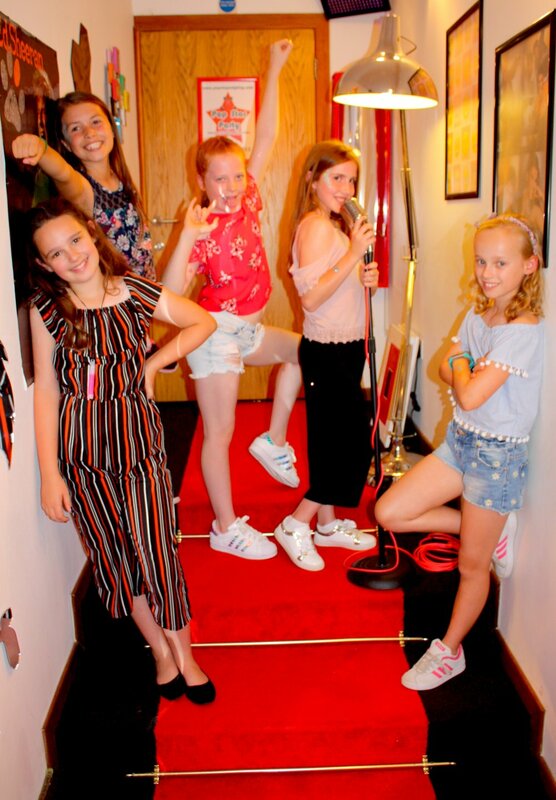 All her party pals were great singers making the recording side of things quick and easy to achieve especially with the first song choice of This Is Me from The Greatest Showman (such a cool song) leaving plenty of time for posing on the red carpet, munching their booster buffet and of course filming their pop video to Shake It Off. The sun was out (well we are having a heatwave) so we took the filming out onto the decking too after doing the green screen run. All the kids were smiling and jumping and having fun all the way through each filming run so the video just looks wicked with all those smiley faces. Her Mum made a very special cake in the design of a mirror ball which had multi coloured and layered inside with surprise skittles inside too - top effort Mum! !